zBoost, a leader in consumer cell phone signal boosters, offers the improved zBoost ZB545X Xtreme SOHO as the solution to your missed and dropped calls inside your small office or home office area. The innovative zBoost SOHO Extreme signal booster boosts voice coverage on 3G phones for all North American carriers operating on CEL 800 MHz and PCS 1900 MHz frequencies. Wilson Electronics 462105 DB Pro cellular signal booster is a dual-band wireless amplifier for use in homes, offices and other buildings. Wilson DB Pro 3G booster featuring adjustable gain to simplify installation amplifier kit. Wilson Electronics 462205 DB Pro cellular signal booster is a dual-band wireless amplifier for use in homes, offices and other buildings. Wilson DB Pro 3G booster featuring adjustable gain to simplify installation amplifier kit. 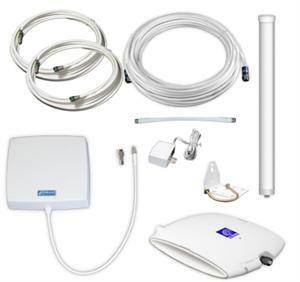 The innovative zBoost ZB545 SOHO signal booster boosts voice coverage on 3G phones for all North American carriers operating on CEL 800 MHz and PCS 1900 MHz frequencies. 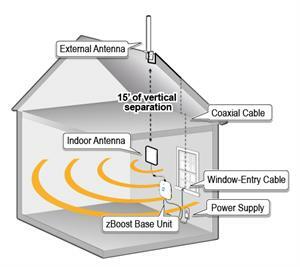 zBoost ZB545 signal booster for Home or Office. The innovative zBoost ZB545M SOHO signal booster boosts voice coverage on 3G phones for all North American carriers operating on CEL 800 MHz and PCS 1900 MHz frequencies. zBoost ZB545M signal amplifier for Large Home or Office.